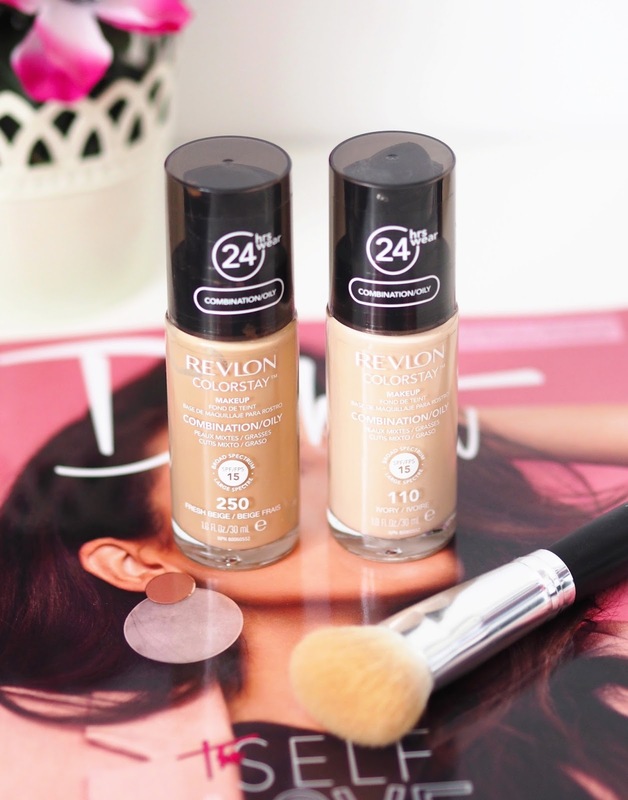 Revlon Colorstay is a real throwback product for me, I started using it back in 2012 when I first got into the world of blogging and it was one of the first products I properly reviewed on my blog (here’s the link if you fancy an old school 2012 blog post to read, I should really update the post but I love keeping my old posts as they are to cringe at). As I’ve recently got back into fake tanning and most of my foundations are in my usual ghostly shade I needed to pick up a darker shade foundation and as I wasn’t sure how long I was going to keep up with the tanning I thought I’d only get a drugstore foundation so I don’t dip out on too much money if I don’t keep it up. I was actually really torn with what to go for and I was in Boots for what felt like a week as I don’t tend to get on with drugstore foundations but when I saw the Revlon stand showing the newly repackaged (now with a pump!!) Colorstay Foundation I decided to pick it up and give it a try as I remember loving it all those years ago. As it was 3 for 2 I made the most of it and went for 2 different shades, 250 fresh beige which matches me when I’m tanned and then 110 ivory which matches me at my palest, I can then mix them together to get colours in between shades when my tans fading. I also picked up the PhotoReady Primer but I’ll post a full review on that soon! When I have tan on I find I opt for a lighter coverage base than what I usually wear, I feel more confident in my own skin and Colorstay has been absolutely perfect for that. It still provides me with the medium coverage I want to cover the redness left behind from my acne scarring but it feels so light on my skin and it doesn’t look cakey at all. I have combination skin and it would last fine without a powder I just tend to opt for the matte (but not flat) look so I set it with a loose powder, the MAC Studio Fix Perfecting Powder has been my favourite to use lately. I’ve found the best was to apply the foundation is with the Crown C472 brush, it blends it into the skin really well without leaving any streaks or patches and it glides over pores leaving a really smooth looking base. I’ve found I don’t need to use concealer on any areas of redness or scarring when I use this foundation which is such a bonus as most days I usually do as it’s something I really do feel insecure about. I feel confident in this foundation, I know I can go out without worrying what my skin looks like as I know it looks nice and my scarring’s hidden without looking like a caked up mess and that’s what I really love about this foundation. As you can tell I’m really impressed with this foundation! I’ve gone back to using it daily over the past couple of weeks and I couldn’t be happier. It’s a great budget friendly option and they’ve always got offers going on in Boots and Superdrug. Have you tried Revlon Colorstay before?